This Photo Frame features a striking two tone charcoal brown wood frame with a wide modern slope and a silver metallic face. The brown finish shows a strong grain washed with charcoal accents. 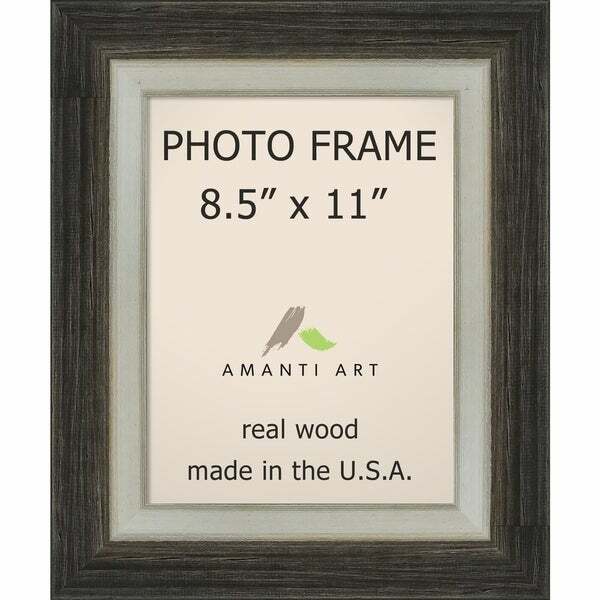 Combined with the bright silver accent, the frame is the perfect blend of modern farmhouse The frame comes with shatter proof plexiglass, back insert, and hanging hardware. It's perfect for displaying photos, artwork, awards and mementos. Every photo frame is handmade in our small custom art and frame shop in the American heartland - you can be proud to display it in your home. Dimensions 1.13 In. X 24.25 In. X 28.25 In.